martin joly Related Posts2018-02-20T10:55:28+08:00 Topic Tags: articles and related posts. 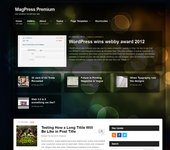 Blogblaze is a 2 columns Responsive WordPress theme by MagPress.com. This theme supports HTML5/CSS, multiple fonts and colors options. It also has featured content slider and categories, Adsense ready, etc. This topic contains 7 replies, has 2 voices, and was last updated by Ronald 1 year, 2 months ago. I use another theme than the one I bought and I would like to know how to stop having one at the end of an article "Related Posts" ? Because I want to use Jetpack's one.